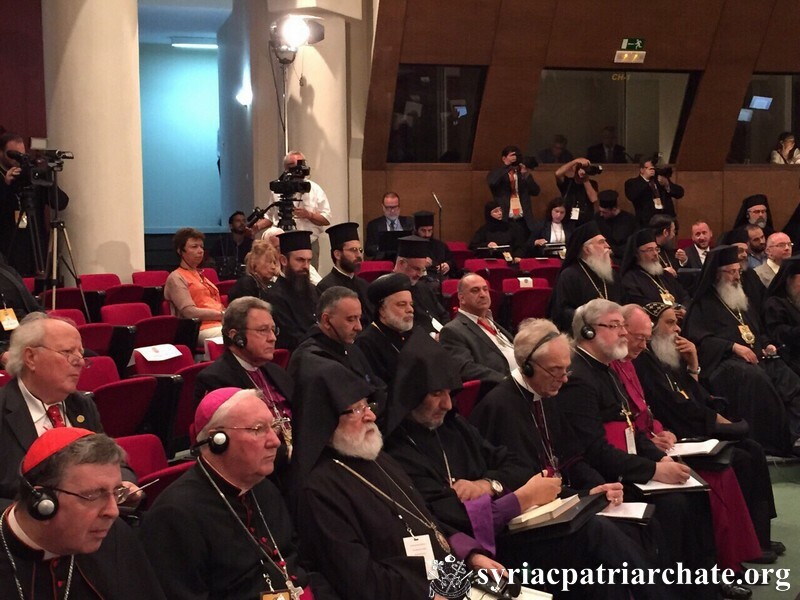 His Holiness Patriarch Mor Ignatius Aphrem II delegated His Eminence Mor Timotheos Moussa Al-Shamani, Archbishop of the Archdiocese of Mor Matta Monastery in Iraq, to represent the Syriac Orthodox Church at the Holy and Great Council of the Orthodox Churches which is being held in Crete, Greece. 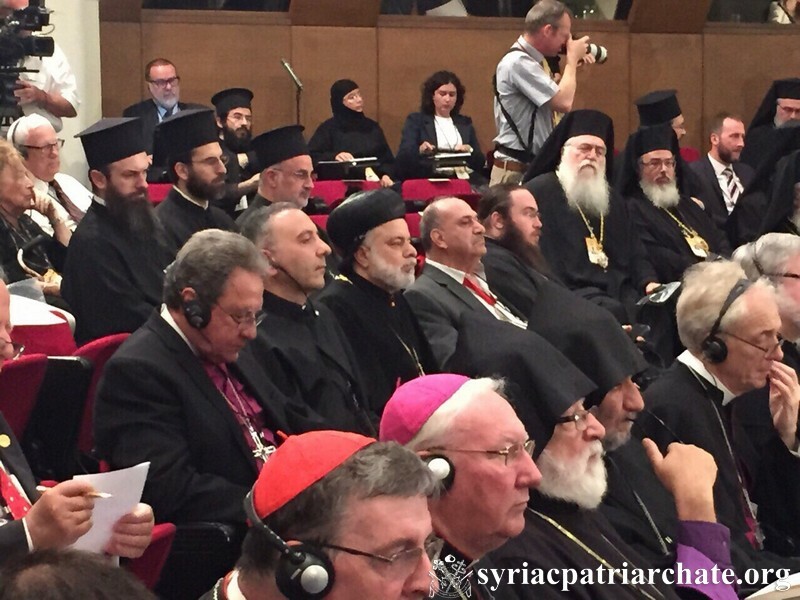 His Eminence conveyed the prayers and best wishes of His Holiness Patriarch Mor Ignatius Aphrem II to the Orthodox Church Leaders who are participating in the Council. 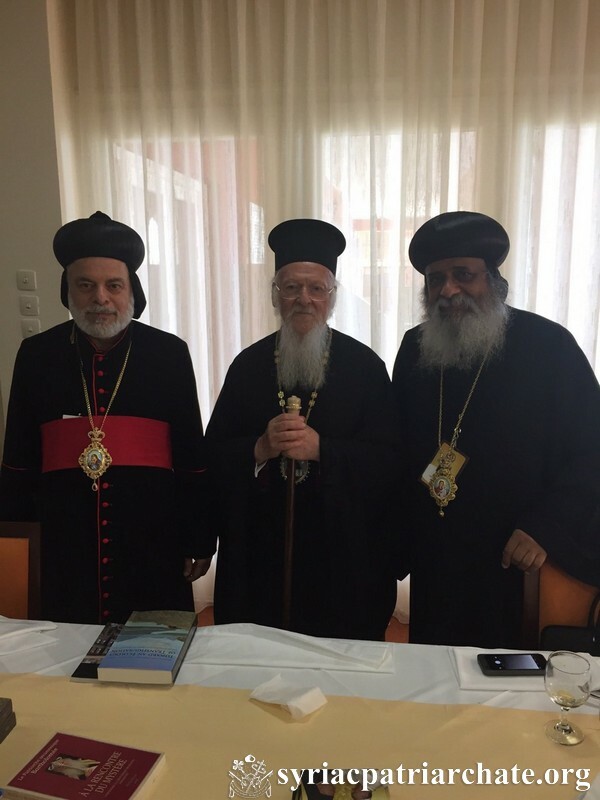 The Ecumenical Patriarch His Holiness Bartholomew expressed his condemnation of the terrorist act that took place in Qamishly during His Holiness’ visit to the faithful there. He also prayed for the safety of His Holiness. This entry was posted in Featured News, News and tagged Great Council, His Eminence, His Holiness, Iraq, Orthodox Church Leaders by Orthodoxy Cognate PAGE. Bookmark the permalink.